I often enjoy a criminal fiction novel that is written by an author with a background in the field, and Sarah Flint was no exception. She has a career spanning over 35 years serving with the Metropolitan Police in London. She starts off with the suspense at the very first few pages, and does not let you go until the very end. This is definitely a gripping crime novel that will keep you guessing, and we all know that is what makes these novels so intriguing. It felt as though this story was very personal for Sarah Flint. Maybe it was because the story involved police officers being murdered. I am not quite sure; but, it definitely had a realness to it. This being the 3rd in the DC Charlotte “Charlie” Stafford Series does not make it any less understandable, so it can definitely stand alone. However, it does make me want to add the other two to my To-Read shelf; which I have done. 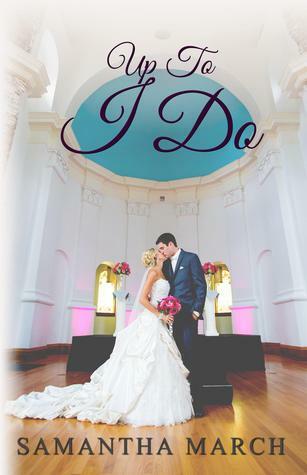 GIVEAWAY: LEAVE A COMMENT BELOW TO BE ENTERED INTO A GIVEAWAY OF EBOOK COPY. WINNER ANNOUNCED DECEMBER 15th. The Magic Phone is a story of a young girl “Abigail” who lives in a quaint little town on the south shore of Long Island. She’s given a phone with powers that you’ve never imagined from a device that so many of us use everyday. This story will take you on a journey that has many subjects that children, teens, and adults will find very exciting. The novel includes adventure, fantasy, historical events, humor, mystery, science fiction, and suspense. The Magic Phone will take Abigail and you through time, both in the past and the future. The Magic Phone gives you the power to teleport anywhere around the world, defy physics as we know it, allowing her to fly, move, lift, or throw objects that weigh thousands of pounds, manipulate the weather, heal the sick, and so much more. Take an amazing journey with Abigail, the adventures are endless with the magic phone. “The Magic Phone” is the first book that I have reviewed that is recommended for children ages 8-12, and I have to say that it was a truly entertaining and ingenious romp! I had fun reading about ten-year-old Abby and her family! I trust that any child would enjoy this story. I have asked my niece, Sarah to review it…So, we will be back to post that review once she finishes. Gary Welch writes with true inspiration and creativity! I am in awe that this book was inspired by a dream that his daughter had. I was really into the story as Abby learned how to use the phone, and what she decided to use it for. Pete, the inventor of the phone was too cool! And, the adventures were wonderful! I recommend this book to anyone that has a young reader in their life. I have loved reading since I was a child, so I know that I would have liked to have had this book on my book shelf back then. I look forward to more books by Gary Welch!! Eleanor Anderson has a beautiful home, a loving husband, a tranquil life. After thirty-eight years of marriage and her children now grown, she finally has time for herself. She’s not expecting any surprises; certainly not to wake up one morning and find her husband dead in bed beside her from a massive heart attack. It’s a devastating discovery… but not as much as the shock awaiting Eleanor when she learns the truth about her husband’s secret life. And then there’s the damaging document he signed before his death, which threatens to destroy her life. Claire Anderson isn’t your average thirtysomething. A professor of psychology at a prestigious university, Claire has a successful career, a handsome husband, and two young children at home. But nothing in her background, including her academic accomplishments, prepares Claire for the horrendous reality of discovering that the life she’d led was all a lie… fostered by a husband who’d promised to love and cherish her forever. Two women from two generations, bound together by denial, anger, and grief. How far will their misery and fear push them? Does compassion rule the day, or will a husband’s betrayal lead to a woman’s revenge? What happens when each of these women comes face-to-face with the other wife? 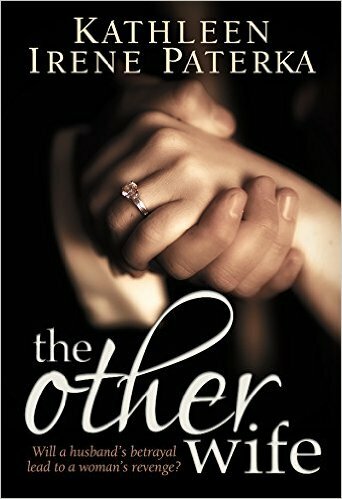 This Women’s Fiction Family Life novel deals with women’s fiction romance, as well as women’s fiction adult issues. Kathleen Irene Paterka is a brilliant writer. Her use of the English language is brilliant. I thoroughly enjoyed reading this book, not only because of the storyline, but because Paterka told it so beautifully. I don’t know which is worse, finding your husband has died of a massive heart attack next to you in bed, finding out that your husband left all of his Life Insurance money to another woman, OR that the woman is also his wife. Eleanor was married to Richard Anderson for 38 years, they have two adult children together, a home….a life. Richard let on that his work took him overseas to the Middle East, when in fact he was just going a few towns over to be with his other wife and family. Four years before his death, he married Claire Anderson, and they had two toddler age children together. This is the story of them finding out about one another and how they deal with the fall out of this information about the man they both loved. Brilliant!!!! You will not be able to choose a side. Jules, her sister Joanne, and her brother Andrew all grew up in the same household―but their varying views of and reactions to their experiences growing up have made them all very different people. Now, as adults with children of their own, they are all faced with the question of what to do to help their parents, who insist on maintaining the upscale lifestyle they’re accustomed to despite their mounting debts. 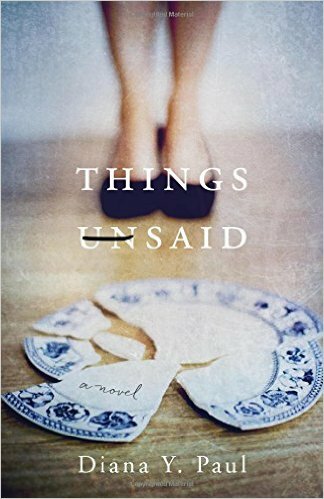 A deft exploration of the ever-shifting covenants between parents and children, Things Unsaid is a ferocious tale of family love, dysfunction, and sense of duty over forty years. This story was almost hard to digest, because it speaks of a family in such dysfunction that it is painstaking to read. But, that is exactly what makes this story so wonderful and different. To tell a tale of a family that is always at its breaking point must have been hard to do; but, Diane Y. Paul gives them a very loud voice. While uncomfortable at times, I did enjoy this book. I almost had to put it down at the beginning because of the sheer amount of pain on each page, but I am glad I ended up reading the entire book, in just one sitting. I was completely enraptured with the story. This is the story of Bob and Aida Whitman and their three children, and grandchildren. We learn how Bob and Aida meet, and how they raise their two daughters, Jules and Joanne and son, Andrew. And, then years later, we learn how these children figure out how to take care of their ailing parents. Their eldest daughter, Jules was a hero to me. She tried to do everything right by her parents, even if they had not done the same for her. She was the entire family’s safety net. Losing herself along the way may have been enevitable. Diane Y. Paul writes of a time in life that we will all encounter. No matter what, losing our parents is never easy. Not even for the Whitman family. Even when walking away may have been the easiest thing to do. This is a wonderfully engrossing read. 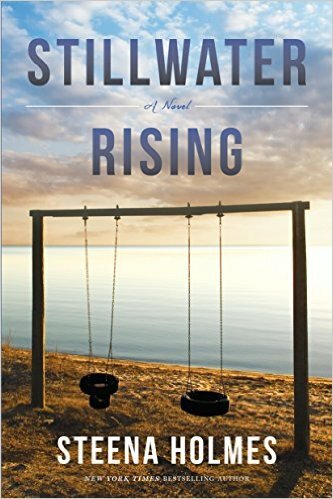 #BookReview: “Stillwater Rising” Struck by how well Steena Holmes tells this heartwrenching story. After reading the pre-quell to this story (Before the Storm), I waited for “Stillwater Rising” to be available, like a child waiting for Santa to arrive on Christmas Eve. Needless to say, when I had the book in my hand, I had to read it in one sitting. I was surprised to learn that Steena Holmes has even more to tell about the town of Stillwater Bay, Washington, USA. But, really? Isn’t that her style? Steena Holmes has the power to grip her readers, and have them hold on tight, as she always has more to share about a character, an event, or a town. Stillwater Bay is no different. Stillwater Bay Elementary had school shooting. Gabriel Berry was the teenage shooter. He shot and killed ten students and two teachers, before killing himself. You can only imagine what this town goes through after such an event. That is exactly what Steena shares in this novel. And, just as she did in “Before the Storm”, it is told with real ease, heart and dignity. The characters in this story are all suffering a loss, each in a different way. This book is about how they get through it, or try to….and, about how a community can Rise again from this tragedy. Again, like “Before the Storm”, this is a book I will never forget. Steena Holmes delivers another brilliant story.